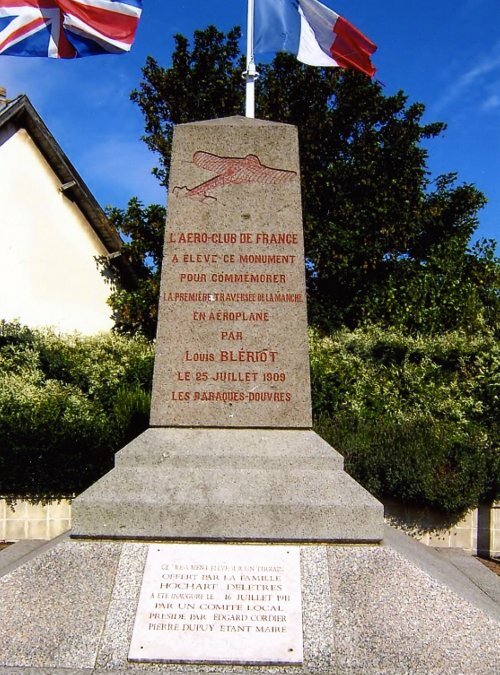 During negotiations on a possible second flight Charles de Lambert speaks on a problem: his mother in Paris is seriously ill and he does not want to fly if her situation would become worse. Fortunately from the City of Light a reassuring telegram arrives. 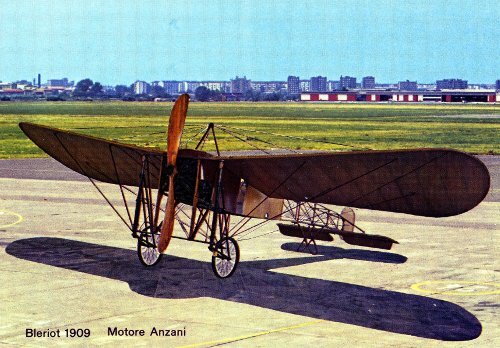 However bad weather conditions prevent him on Tuesday June 28 1909 to fly a second time over the Klappenbergse Heide (‘Klappenberg Moor’). 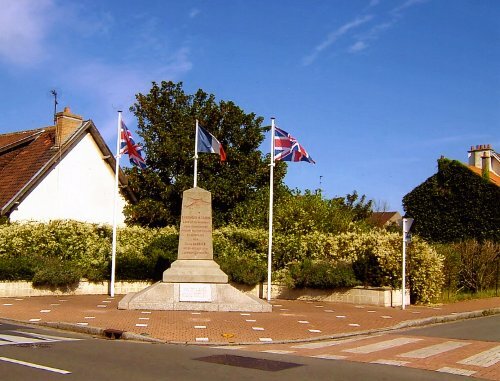 Seven days later, so on July 6 1909, his mother died in Neuilly-sur-Seine, France. 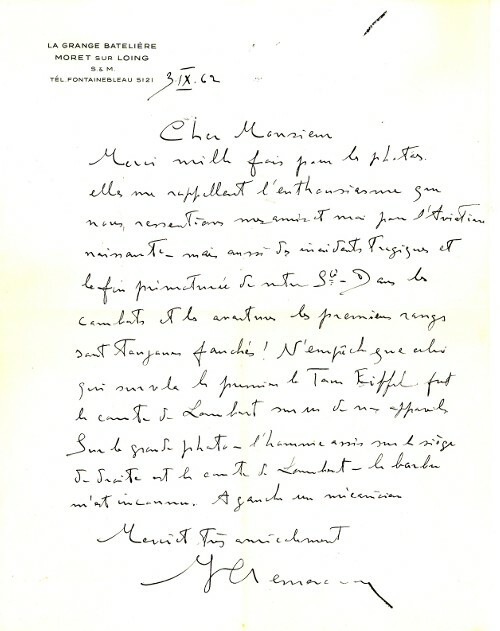 In a letter (probably to a certain André Menard) of September 3 1962 Michel Clémenceau at at the age of 89 years refers to abovecaptioned photo. Due to apparent forgetfulness he writes “le barbu” (“the beardie”), so Heerma van Voss, is unknown to him. He also confuses the impresario with a mechanic. He brings up that he who flew for the first time over the Eiffel Tower was count de Lambert “sur un de mes appareils” (“with one of my machines”). 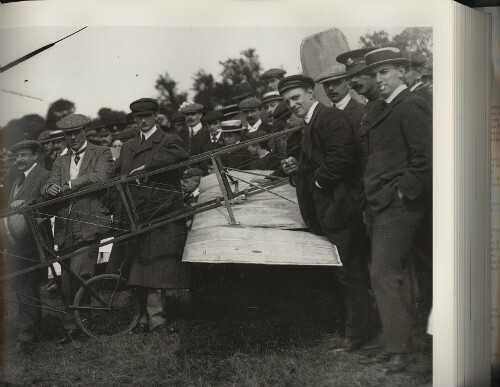 In October 1908 Lord Alfred Northcliffe, permanent guest in the city of Pau whose Daily Mail newspaper has been offering aviation prizes for more than two years, announces a prize of £ 1,000 for anyone who will succeed in crossing the Channel by aeroplane. The London newspaper offers Wilbur Wright, obviously the man to do it, an additional £ 1,000 if he wins the prize. From U.S.A. where he has stayed Orville advises his older brother to decline the offer because he does not like the idea of flying across water as a spectacle for the public whereas he can make more money by selling his own aeroplanes. That is not the attitude of European aviators. 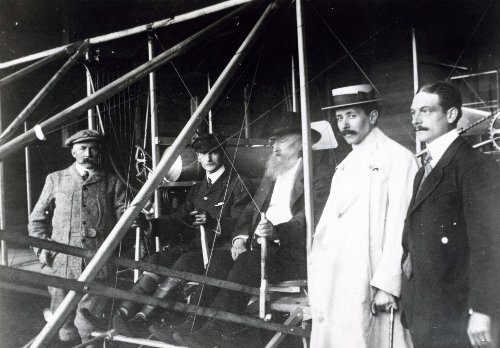 By July 1909 after his tour de force in The Netherlands, count de Lambert, who owns two ‘Wright Flyer’ biplanes, goes to the beach of Wissant, Pas-de-Calais, ready to take part in this rush. 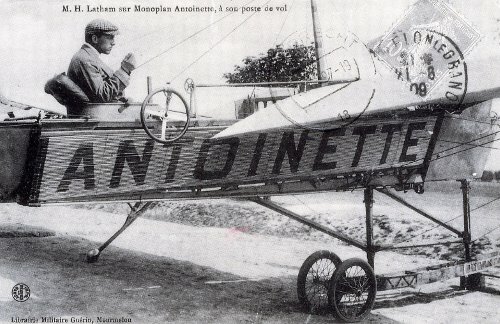 Hubert Latham, a Frenchman born and educated in England who has an ‘Antoinette IV’ monoplane and Louis Blériot who, on a visit to friendly planters in Haïti, obtains an important loan to pay for his ‘Blériot XI’ monoplane with Anzani motor, are already on the spot and prepare themselves to accept the challenge of the Daily Mail. Latham is the first to go but an electrical problem forces him to land on sea. The rescuers find him sitting quietly in his aeroplane, smoking a cigarette among the waves. Successive cases of engine trouble that face Charles de Lambert clear the way for Blériot (Americans would call him a ‘jinx’ – somebody causing misfortune – and who burns his foot seriously during the trials) who – as we all know – makes the first crossing of the Channel with a flight of 35 kilometres in 23 minutes on Sunday July 25 1909. An English newspaper writes ‘England’s isolation has ended once and for all’.